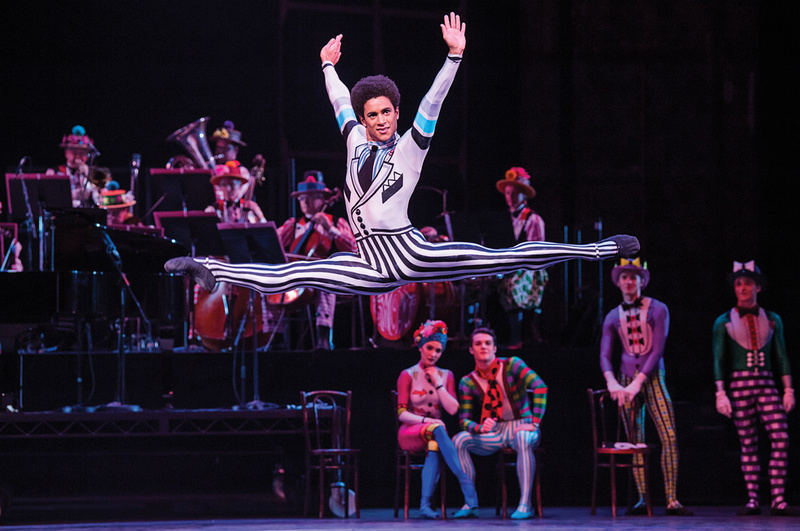 That presence and mind-set have helped the 24-year-old first soloist reach his long-term goal: to be seen not just as a "muscly, smaller dancer," but to break the mold and find his way into princely roles. "My goal was never to do Basilio. I wanted to be Romeo, Albrecht," he says. 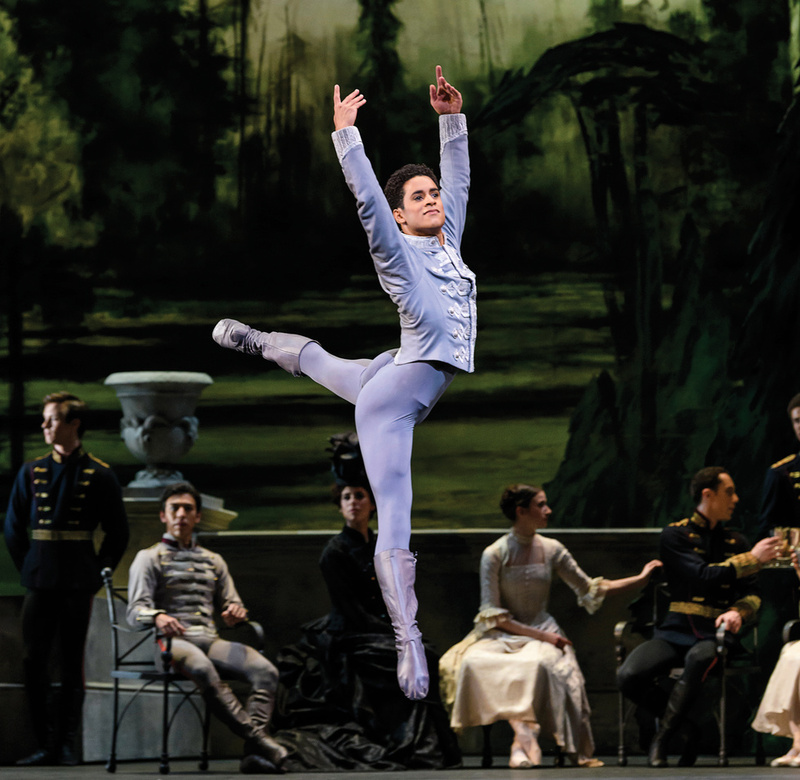 After a stress fracture derailed his debut in Giselle last season, he's back on top and hungry to graduate from Mercutio to Romeo this April. "Seeing him develop outside the box has been really thrilling," O'Hare says. "The mixture of ease of technique and innate characterization he can bring to these roles is really special." It's not the first time Sambé has beaten the odds. Born in a poor area on the outskirts of Lisbon, he comes from what he describes as "quite a rough background." His father, who hailed from Guinea, died when he was 8. Guidance came from an "incredible" local community center, which provided a range of activities—including African dance classes. Sambé was the only boy in them. "I was so small that I was like the mascot of the group, and we became quite famous: We danced on TV; we went around Portugal." The center's psychologist spotted his gift for dance, and seeing a potential opportunity for him, arranged for 9-year-old Sambé to audition for the ballet program at Lisbon's National Conservatory. "I was like: Ballet, what?" he remembers. He went to the audition in a tracksuit and sneakers, and when asked to improvise, performed his African dance choreography. "The room burst into laughter, and I felt super-happy." Adjusting to the strict discpline of the Conservatory's Vaganova-style training wasn't so easy, however. "I always had a hard time with paying attention and focusing," Sambé says. "I was a bit of a rebel." The support and friendship of a student who was a year older, Maria Barroso, proved invaluable. Over time, Sambé developed a relationship with Barroso's family, eventually moving to live with them when his biological family struggled. "They gave me so much love and affection, an amazing space to grow, everything. To this day, if I go to Portugal, that's my family," he says. Sambé's precocious talent brought him success at competitions from a young age: After winning first prize at Youth America Grand Prix in 2009, he snagged a gold medal at the USA International Ballet Competition the next year. A Prix de Lausanne scholarship then landed him at The Royal Ballet's Upper School, where he spent two years. "Coming from Russian training, I was so used to getting my leg as high as I could, but in London the teachers really focused on placement." His soaring jump blossomed there, he says. "I learned to engage the whole leg, so I had much more power. With that came the muscles and thighs," he adds with a laugh. Shortly after O'Hare offered Sambé a corps contract with The Royal Ballet in 2012, the Portuguese dancer was allowed to flex these muscles in virtuosic roles, including La Bayadère's Bronze Idol. Corps work was more of an adjustment, he admits with some contrition. "Staying focused for a long time has always been a challenge for me. If someone talked to me, I would get really excited. And then suddenly I'd be like: What's the count?" Still, choreographers soon noticed Sambé. "Having started with African dance, I have different rhythm, which helped with contemporary," he says. Alongside roles in Hofesh Shechter's Untouchable and Wayne McGregor's Woolf Works, his harrowing turn in Crystal Pite's 2017 Flight Pattern—as a despairing migrant, inspired by Europe's refugee crisis—struck audiences and O'Hare alike. "It ended up being the pivotal role in that piece," the British director remembers. And Sambé didn't lose sight of his long-term goal: to prove his versatility in the classical repertoire. He studied videos of dancers with different body types, from Ethan Stiefel to Sir Anthony Dowell, to figure out how they moved. "The big muscles for me switch on first so I have quick power, but when you see a dancer who is more princely, they use smaller muscles, so that the movement looks more grounded. I thought: How can I make myself become that dancer in my own way? I would soften myself in class, make sure to show quality and intention." O'Hare believed in him and facilitated his evolution with roles including Oberon, in Sir Frederick Ashton's The Dream. "If you wanted to, you could put him into a little box, but his way of moving is panther-like, so he can be slow and take in those big steps." Standout partnerships have helped, too: Anna Rose O'Sullivan, a bright soloist who joined the company with Sambé, will be his Juliet this April, and he has shared breakthrough performances with Hayward, from The Dream to La Fille mal gardée. "Some of my best moments onstage have been with Marcelino," Hayward says. "He's able to just be in the moment, and I feel real emotion from him, whatever we're doing." Yet a stress fracture in his shin sidelined him for the majority of last season, causing him to miss out on Giselle and Christopher Wheeldon's Alice's Adventures in Wonderland. It was a major blow. "Everybody tells me 'It didn't really hurt your career,' but I know it does hurt your career," Sambé says. Regardless, he brought his trademark positivity to the recovery process. "He looked at the way he worked to see if there was anything he could change, and he's come back even stronger," O'Hare notes. Sambé compensated with an "art overload," spending time in museums and theaters with his partner, a London-based lawyer. In addition to painting, a longtime hobby, he took up photography and started a black-and-white Instagram account (@royalballetbymarci) dedicated to intimate portraits of his colleagues. And now that he's back onstage and working towards Romeo, this singularly creative, ebullient dancer—who also choreographs in his spare time—is ready to play a leading role in the exciting generation O'Hare has nurtured. "I can really bring a different point of view, and I want people to see me as a full artist, rather than this athletic creature," says Sambé. And with that, he's off—smile in tow, of course.